Looking for a Live-in Caregiver? Hiring a Live-In Caregiver can be expensive, and yet research tells us that most seniors want to stay in their own homes until they die. However, individual care needs and a family’s financial resources might not make live-in care practical for every family. Live-in care is best afforded when it is for a short duration at the end of life or after a hospitalization. Our professional care managers help families with planning for long term care. Many options can be put in place to secure care in the home by combining free services, technology, community services, family and paid care. Planning for long term care can be a challenge, but it doesn’t have to be a burden if you consult with someone who can put a plan in place for you. We can answer questions you didn’t know you needed to ask! 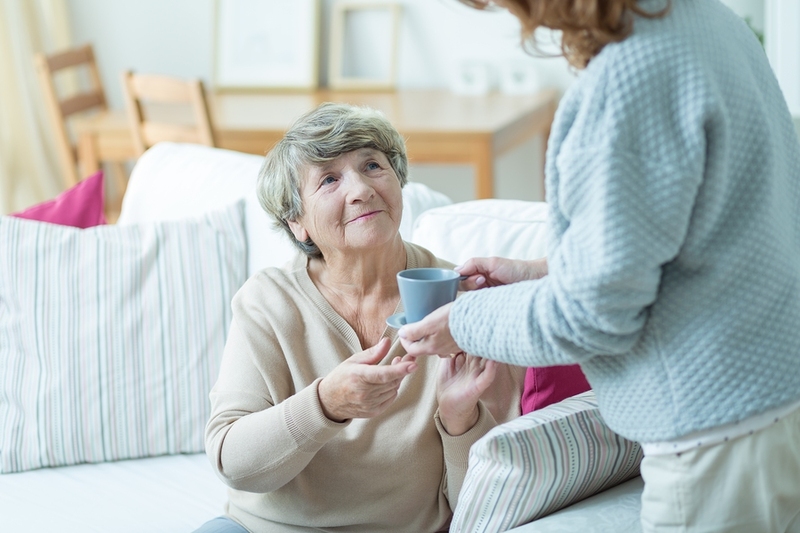 Know your options, what to expect and what to look out for when hiring a live-in Caregiver. Or chat with us live by clicking the chat icon that looks like this down below. Eldercare Services has been providing home care for my 91 year old “cantankerous” mother for 9 months and what a great help they’ve been. I’ve learned a lot from the Caregivers and Care Manager. They provide the “heavy lifting” for working with my mom and I’m able to relax and enjoy my time with her. The Caregivers are AWESOME. They are women who care, care and continue to care about mom. They are my eyes and ears so I learn what’s going on with mom from them. They take mom to all of her appointments and activities. The do exercises, prescribed by her Doctor, with her. They prepare wonderful, healthy meals for her lunch and dinner. They bathe her and make sure she’s looking her best. They do some light house work and water the annuals and vegetables I plant. My mom likes them a lot and speaks fondly of them to me.